Click here to read the full article with the ingredients and directions. And here are some additional photos to help you throw these little morsels together! It takes about 5 minutes. 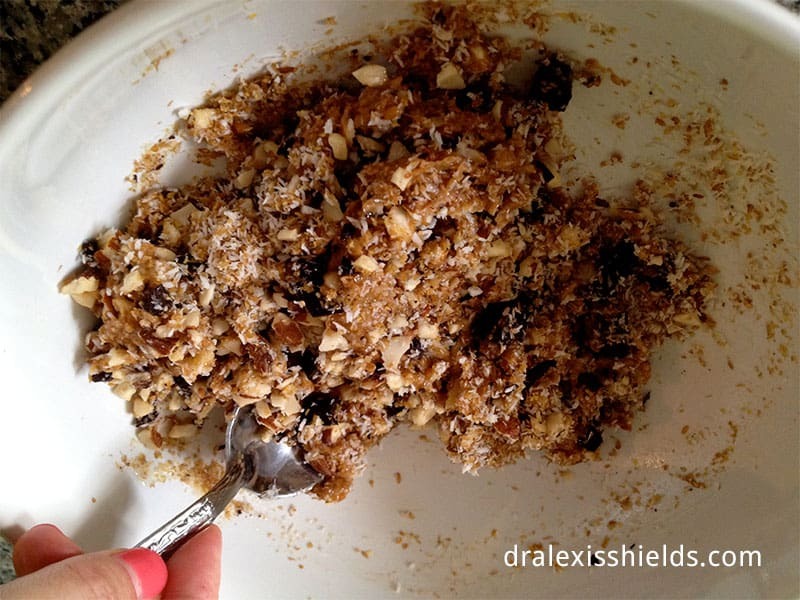 Combine equal-ish amounts of shredded coconut, ground flax, and chopped almonds. 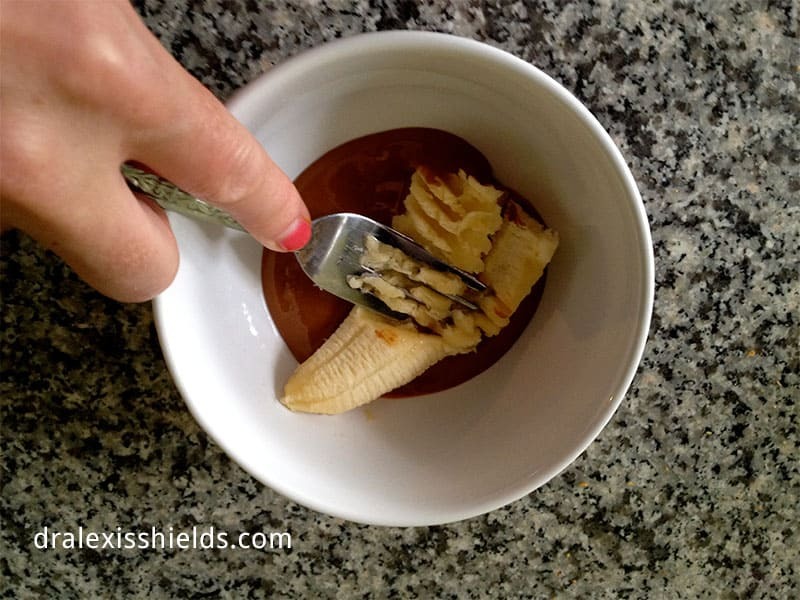 Mash banana into almond butter. Don’t have almond butter? Try peanut, cashew or sunflower butter. Also-check out this article on how to make your own almond butter with raw almonds & a food processor. Mixture should be slightly sticky and form into a ball easily when rolled between your hands. 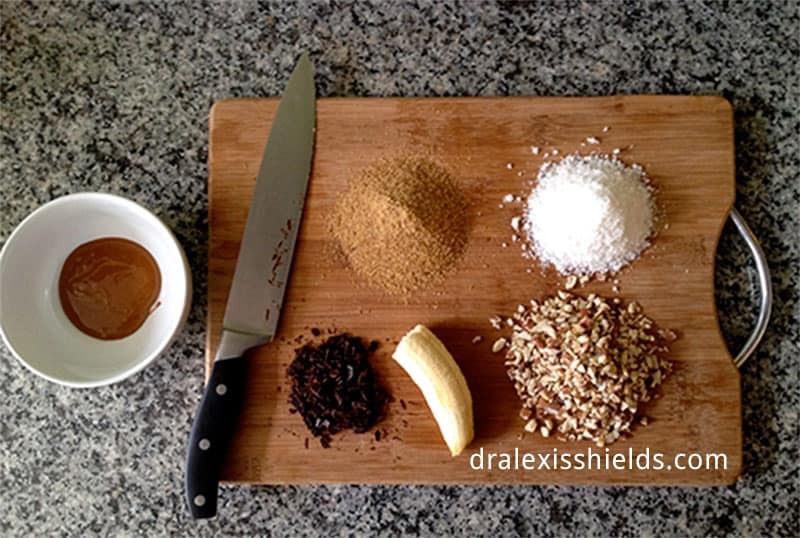 If mixture is too sticky add more flax, coconut or almonds. If mixture is too dry, add more coconut oil. Like this? Click “Pin It” to share it!! ps. Do you have your own favorite grain-free, dairy-free treats? Please post the link below in the comment section!